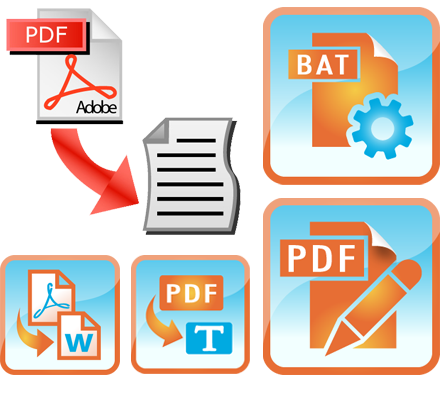 Convert PDF documents into the ediable plain text files. You can run batch converting of PDF to TXT. PDF2TXT supports command line. You may use the program in a command line mode; Learn more about batch conversion of PDF files. It's not necessary to overpay for utilities that can convert to Word file, why not use pdf2txt and then convert plain text to Word file. It's simple way to convert PDF to Word via text or check our review of best tools designed for PDF2Word conversion.